Taken in November of last year, the photo is definitely a picture of…a thing. A thing which, after snapping his photograph, Edwards tried to make sonar contact with for half an hour to no avail. It’s worth recalling that Edwards has a vested interest in something being in the loch. 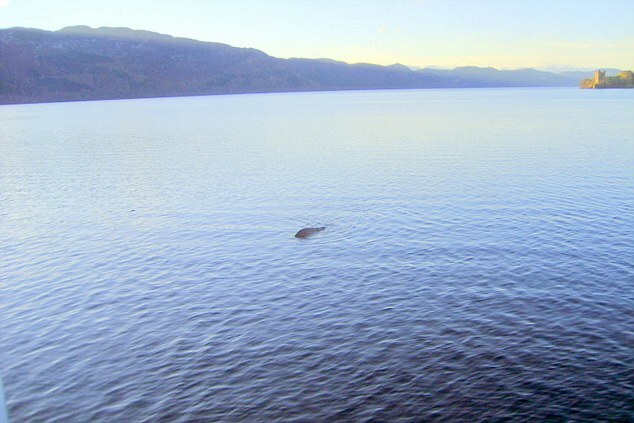 As the skipper for Loch Ness Cruises, he makes his living ferrying tourists around on his boat, the Nessie Hunter IV. So, y’know, consider your source. According to the Daily Mail, Edwards claims the photograph has been “independently verified by a team of US military monster experts,” which is a thing we didn’t even know the US military had. It should be noted that nothing would make us happier than a world in which the US military advises on all matters cryptozoological, but if there actually is a team of monster experts plying their trade in a bunker somewhere, we’d like to think there are more pressing concerns for these tireless warriors than Nessie. After all, aside from a momentary lapse into violence in the early 80s, whatever might be in Loch Ness has proven a shy creature with no serious implications for America’s national security.